Erik Assadourian, a Senior Fellow at the Worldwatch Institute, will be speaking about the realities of sustainability in the context of today’s world and how those realities affect whether or not real sustainability is something that can be brought to fruition. 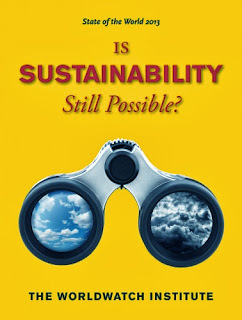 "Is Sustainability Still Possible?" was the theme of the 2013 edition of Worldwatch Institute's annual publication "State of the World." The first chapter and section openings for three chapters on particular topics are available here.